A hui hou! : A chimpanzee briefly escaped from its enclosure at the Honolulu Zoo on Tuesday and was captured about 15 minutes later. 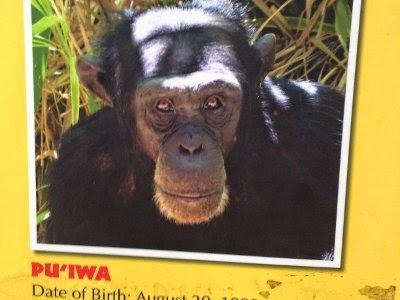 A chimpanzee briefly escaped from its enclosure at the Honolulu Zoo on Tuesday and was captured about 15 minutes later. The mayor's office says a chimpanzee escaped from its Honolulu Zoo exhibit by climbing a damaged wall.